The other day I went for a ride with my dad on his motorcycle. It was sunny and warm and the breeze felt refreshing as it blew on my face. As we were getting ready to return home after stopping for a break, it began to rain. There I stood wondering, “Is this really happening?” Everything inside of me was questioning how we could get out of having to drive forty miles home in the rain. Without hesitation, my dad invited me to “gear up,” put on warm clothes, and saddle up. So, without any questions, I got on the back of the bike and we took off. As we drove through the rain, I kept thinking about the possibility of the bike tipping, how I was getting cold, and how at any moment a deer could come dashing out of the woods, causing us to get in an accident. As I sat behind my dad, I could feel my body getting tense on that little seat. And then it came to me. This is about trust. There was nothing I could do to control my surroundings. I had to trust that my dad loved me enough to protect me and drive me safely home. And so, i decided to sit back, relax, and enjoy the sacred ride home that would mysteriously bring my dad and me a little closer. As an adult, I have come to understand how deep the impact of my relinquishment has been. 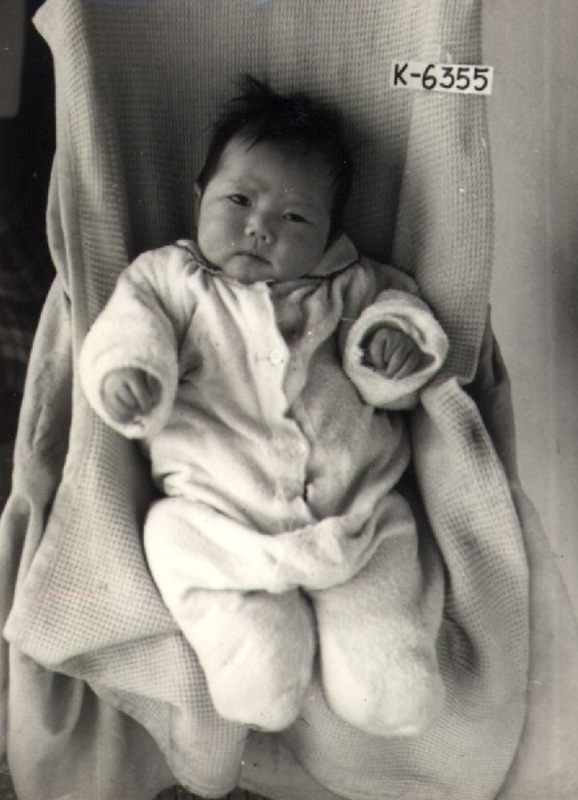 I imagine myself when I was a tiny, cuddly baby – all that black hair, brown eyes and chubby cheeks. An innocent baby so sweet and loveable. Yet, for some reason, the two people who made me chose to give me away. That hurts. My heart aches to think about what that did to my heart. I know now, that early on, I began believing the lie that I was “too much” – too much to keep, too much to love, too much to fight for. Somewhere, somehow, but for sure at a young age, I began believing that it wasn’t safe to trust anyone – at least fully – and yes, even God. What a great set up to not believe in myself and that I didn’t have much to offer or be used by God. But…God had a better dream. God says that one of the ways in which he reveals his glory is through us, his creation. I was his creation. He created me, not those two people. He also says that he will make all things new. He has the ability to take what has been broken and put it back together again…and again and again and again. Could this be his heart about the amazing gift of adoption? Reveal more of himself through his beautiful and sacred creation? So now, she has a choice. She could abandon her creator just as she was abandoned, or she could choose to reclaim her broken past and use it for good. She could live in despair and hopelessness, or she could allow the impact of her relinquishment to be used for her own transformation and to bring glory to God. Maybe it’s not about forgetting the past, but embracing it – reclaiming it – using it for good and allowing God to reveal himself through it. It’s then when you can sit back, enjoy the ride, and actually feel the refreshing breeze on your face. It’s then when you can experience true, deep, authentic intimacy with God. God is putting me back together over and over again, and I am invited to be a part of that story. Wow, I love this. 🙂 Thank you so much for writing this. This is what I pray every day for my children… and for myself as a woman who is struggling to trust God in the midst of barrenness. You are so right – I need to simply relax and trust my Father, despite the rain and uncertainty that surrounds me. grateful for your growing trust. may you feel God’s delight and love all around you – in both the divine and the daily.